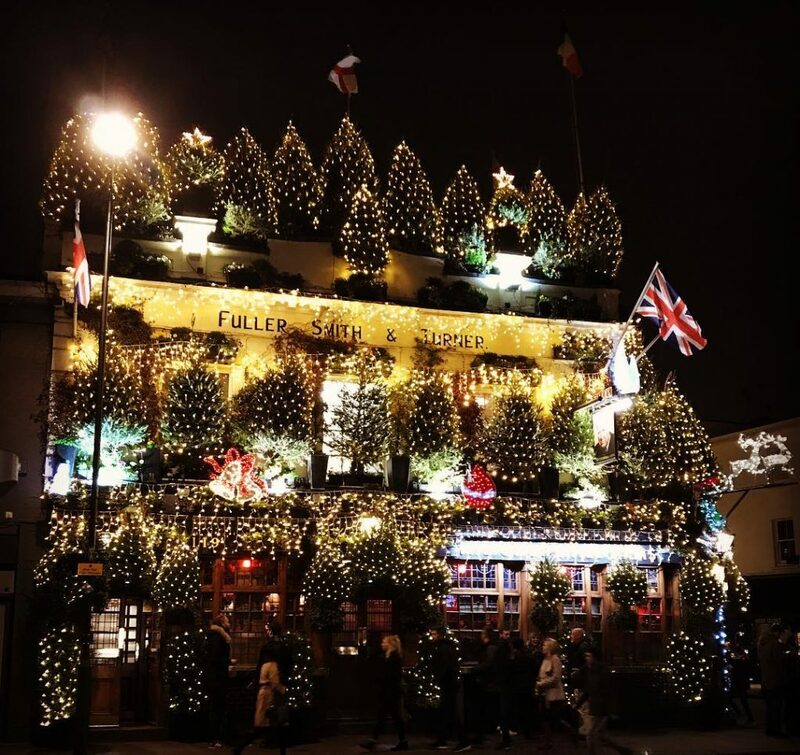 The Churchill Arms in Kensington has out-Christmassed every single pub in London. Some say it isn’t Christmas until the Coca-Cola ad appears. Other say it isn’t Christmas until December 1st. Both are right, of course, but we think the surest sign of impending Christmas is the grand switch-on of The Churchill Arms‘ Christmas lights. 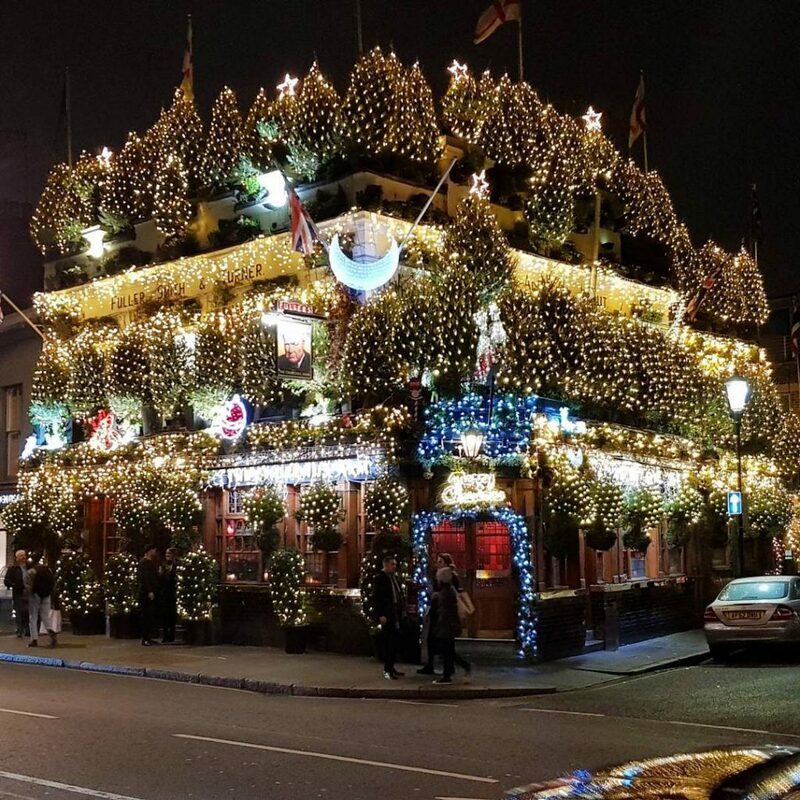 Personally, I feel this Kensington boozer has established the perfect level of festive-ness (we’ve never been ones for subtlety here at Secret London). I don’t want to think what the electricity bill is going be at the end of the year, but given that The Churchill Arms drops £25,000 on flowers every year, they’ve definitely got the cash. It’s totally worth it, too. 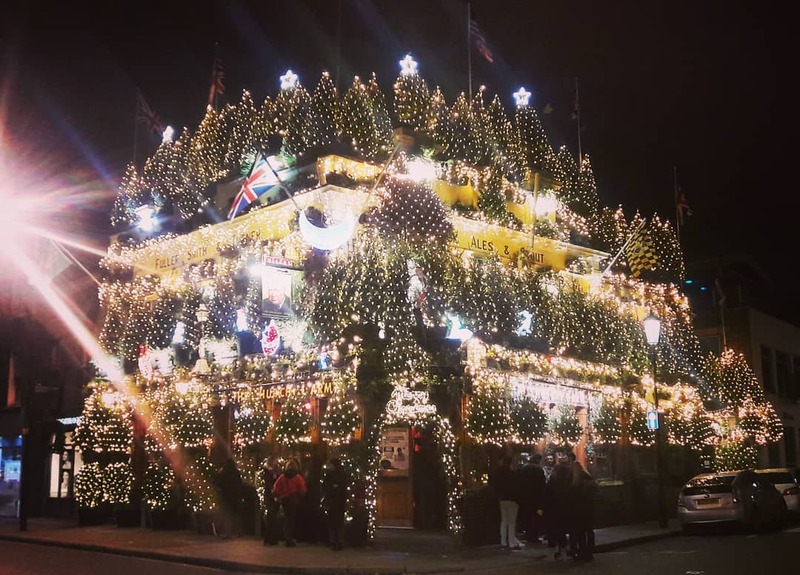 Roughly 80 Christmas trees festoon the pub, with a whopping 18,000 lights covering the exterior. 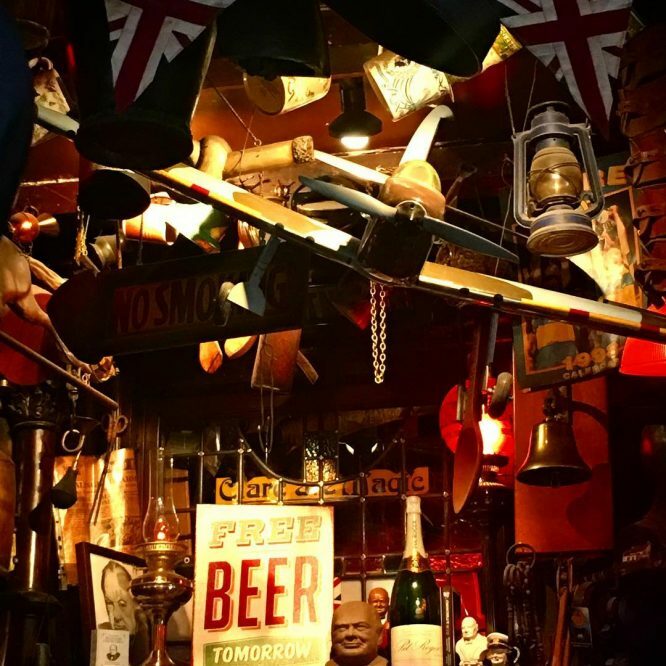 If you fancy paying The Churchill Arms a visit, you’ll find it at 119 Kensington Church Street, W8 7LN – it’s just a stone’s throw away from Notting Hill Gate tube. Head inside for wartime memorabilia (pictures, banners, and other odds and ends are scattered throughout), beer and delicious Thai food. Get more into the Christmas spirit with our guides to London’s Christmas lights, ice rinks, Christmas shopping spots, and Christmas markets.